Jacob’s well in Texas is a tunnel opening (12 feet in diameter) in a small perennial spring that goes straight down for about 30 feet before leveling off into a huge underwater tunnel system. At least 8 divers having died in this system trying to explore the caves. The higher altitudes of Mount Everest (greater than 8000 m) is called the Death Zone. Lack of oxygen, exhaustion, extreme cold and climbing hazards all contribute to the high death toll in this zone. Since rescuing or carrying an injured climber back to basecamp is impractical, they are typically left behind to die. About 150 bodies have never been recovered and it’s not uncommon to find corpses near the standard climbing routes. Even experienced climbers have perished in this zone. 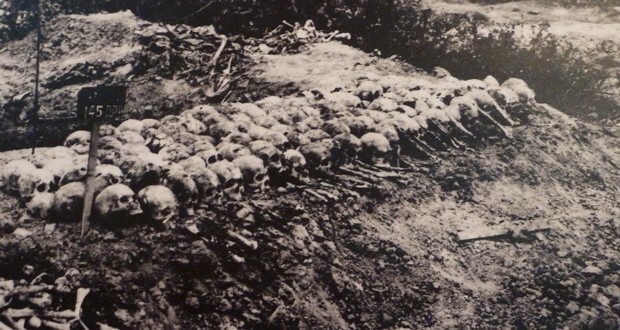 Killing Fields in Cambodia were a number of the site where at least a million people were killed at the end of Cambodian Civil War by Khmer Rouge regime between 1975 to 1979. Human bones can still be seen sticking out of the dirt paths. There is huge stupa full of human skulls with holes in them from where they were bludgeoned to death. Kawah Ijen is an active volcano in Indonesia. The miners scale 2,600 meters tall (8,660ft) Kawah Ijen volcano trek up to the crater, then down to the shore of a 200-meter-deep crater lake of sulfuric acid, where they retrieve heavy chunks of pure sulfur to carry back to a weighing station. They do all this without any protective masks or gear. In the canals of Xochimico near Mexico City is a bizarre island and what might be the world’s strangest and scariest tourist attraction. However, the sad island was never meant to be a stop on tourists’ holiday itineraries. 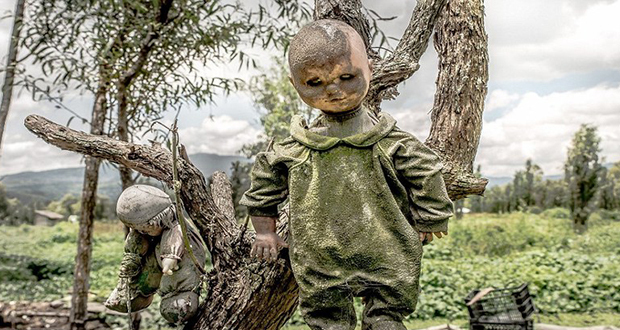 The Island of the Dolls was dedicated to the lost soul of a poor little girl who met her fate too soon. There are hundreds of dolls that are strung to tree and poles. Mariana Trench in Pacific is currently the deepest known point on earth. It is deeper than average cruising altitude of commercial airliners and harbors some of the strangest life form known to men. More than 500 people have committed suicide in Aokigahara since the 1950s. In 2010, 247 people attempted suicide in the forest. Most people hang themselves or die of an overdose. Due to the density of the forest, the government only cleans up the place once per year. There are several youtube videos, which show people going in to explore and find others who are considering suicide camping in the tents. The Wall in St. Croix is a two-mile straight vertical drop off to the ocean floor. The water is shallow, warm, and perfectly clear as you start out, tiny colorful fish dart about, scattered coral formations dot the ocean floor. Not even a quarter mile from the beach is the wall. The depth is recorded from a mere 1,000 foot drop off to 2 miles straight down. The clear turquoise water shifts to a deep blue for a few feet and then solid black. You are floating directly above a black abyss. The Derweze area is rich in natural gas. While drilling in 1971, Soviet geologists tapped into a cavern filled with natural gas. The ground beneath the drilling rig collapsed, leaving a large hole with a diameter of 70 meters. To avoid poisonous gas discharge, the best solution decided was to burn it off. They had hoped the fire would use all the fuel in a matter of days, but the gas is still burning today. Locals have dubbed the cavern "The Door to Hell". Poveglia Island in Italy is considered the most haunted location in Italy. In 2007, mass graves were found of bubonic plague victims. In 1922, the existing building was converted in a hospital for mentally ill. According to a local folklore, the treating doctor tortured and butchered many of the patients, before going "mad" and jumping to his death from the bell tower. 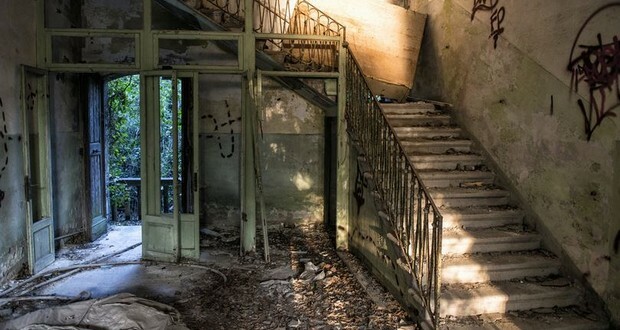 In 1968, the hospital was closed and the island was completely abandoned.